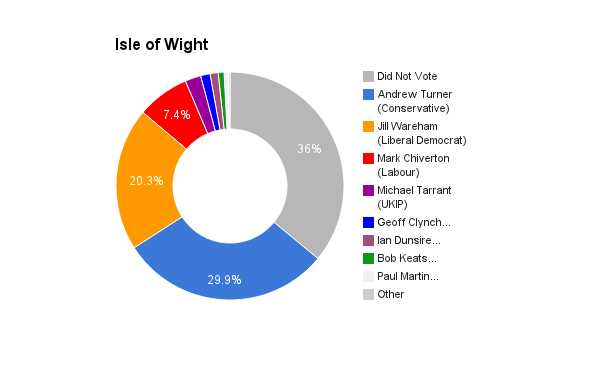 Formed in the Great Reform Act of 1832, the constituency covers the entire Isle of Wight and has had the highest electorate in elections from 1983 to 2010. That being said, it is potentially destined to become two smaller constituencies with smaller electorates in the future. The sitting member is Andrew Turner of the Conservatives who has held the position since 2001.